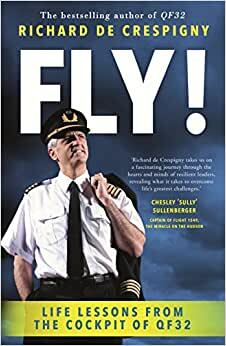 Start reading Fly! : Life Lessons from the Cockpit of QF32 on your Kindle in under a minute. As an ex pilot, I recognize that it the author spent some time moving from an aviation mindset earlier in the piece to being more general as he went on. A really worthwhile manual for life and business peppered with ego and super ego here and there. Excellent dissertation of how to handle serious challengers particularly when multiple lives are at risk. A must read for people who are likely to face possible disasters. 5.0 out of 5 starsHow to cope in emergencies. Coming from the author of QF32, I expected a different book. It offers interesting information on the technical side and regarding CRM issues. At the same time, it seems that the author "plays by ear" in other issues. Then, an important part of the book gets downgraded to a common pep-talk. I don't regret buying it but I think it would improve simply by eliminating about 30% of its contents. A very easy to read book on life lessons and leadership. Fly will equip any aspiring or current manager or leader or teenager or adult with skills and awareness on how to navigate life’s obstacles and challenges with confidence and safety.